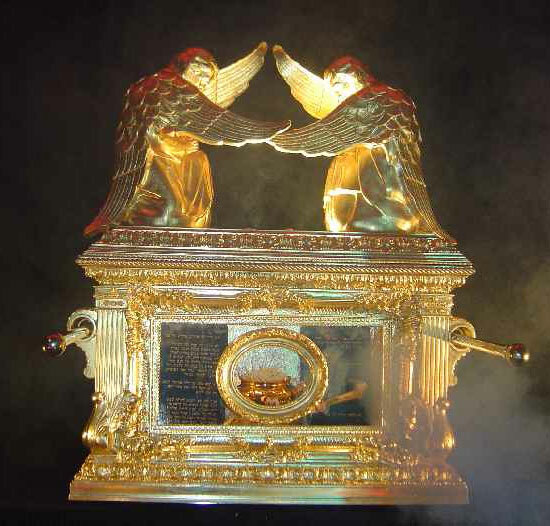 The Ark, in which the stone Tablets of the Covenant with the Ten Commandments were kept (Deuteronomy 10: 2) is the greatest shrine of the Jewish people. The Ark, according to the Torah, was a symbol of God's union with the people of Israel and served as evidence of the presence of God in his environment (Exod. 25:22, 2 Chronicles 6:41). 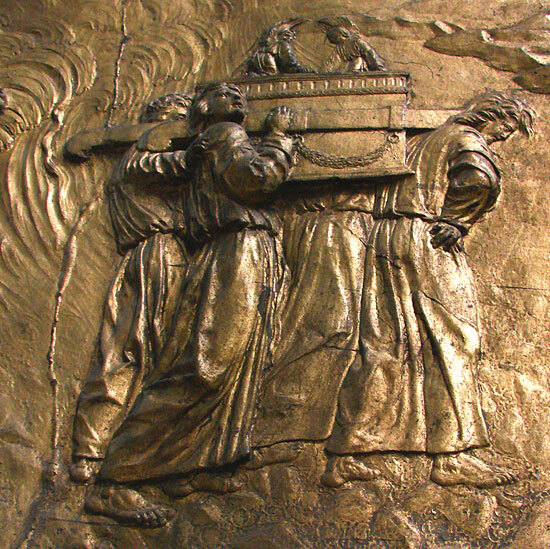 Transportation of the Ark of the Covenant, gilded brass, Cathedral of Sainte-Marie, Osh, France.